2018 Mar ------ Dec2018 -Mar 2018 JINEN Butoh School -10days/month & Weekend 2days/months. Cannes Film Festival, and till now received more than 35 awards. filmed in Alaska; Moab, Utah; Hawaii. 2016 ------ video for the song “ Santa Muerte” (4’31 / directed by Monika Brodka, Polish singer and artist). 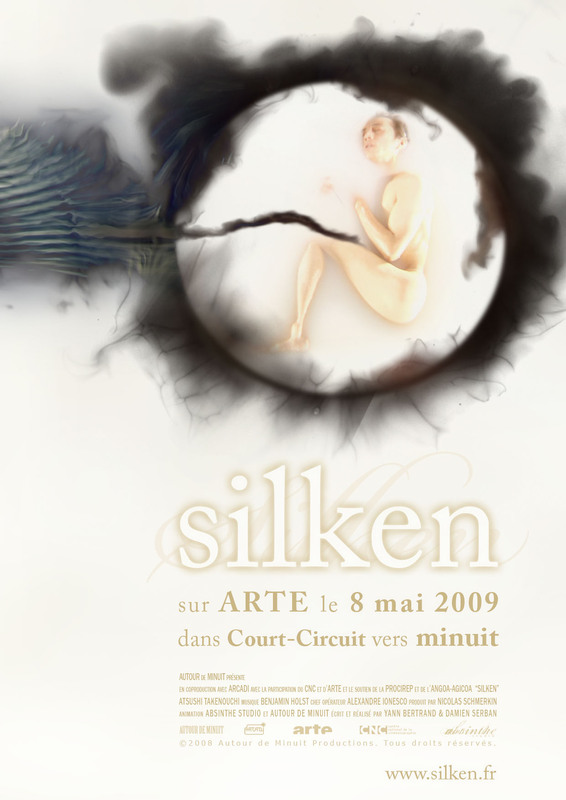 ------film “Silken” (2008/ France / 10’50/Autour de Minuit Présente ), directed by Yann Bertrand and Damien Serban. universe of Jinen Butoh dance. Directed by Michel Tabet. 2011--2007 ----Tribute to Kazuo OHNO performance 1 July in Pontedera. Hiroko Komiya CD "eau nouvelle". -- they do not belong to people. They are already alive. Even our body is not ours. so we resonate, rebel, grow angry , cry, laugh, and dance with them. All of them are JINEN. Jinen is an old Japanese word. Its meaning encompasses ALL that is even larger than nature. In the West, "Man" exists above "Nature," and maintains and protects it. Above Man, there is "God". In other words, there is a separation between Nature, Man, and God. Jinen expresses the perception of the universe before such a separation occurred. In ALL things there lives god. God is the "Flow of the River of the Universe" that embraces the sun and moon, and the earth that is the origin of the birthing of all Nature including Man. God lives within man, plants, animals, even in man-made things like houses. Jinen is the word that describes the universe, its' origin and natural course. All things connect to this river, and are part of the river of Jinen. Man generally receives beautiful forms from Nature, such as the plants or animals. However, many forces of nature, such as huge earthquakes that I have experienced myself, destroy people, organisms and nature. This is the breath of this planet. This is also the swirl of the River of the Universe that embraces all life and death, light and dark.. This is Jinen. There is nothing Man can do. All that I was able to do after the earthquake was to live with the people who had encountered live and death, and to pray and dance with them. Inside Jinen, the helpless life force embrace life and death, feel that even such life and death are connected to all things, and dance a prayer. This view of nature has already existed in the art forms created by ancient people. Every life form performs the dance of life and death by being alive. All things are dancing with Jinen. Jinen Butoh is to join together with all the life that are already dancing, to dance with the flow of the universe that is Jinen. We remove the wall of consciousness that perceives dance as the individual " I " dancing. We are dancing with, and are danced by , the Jinen, accepting all the environment and conditions around us as Jinen.